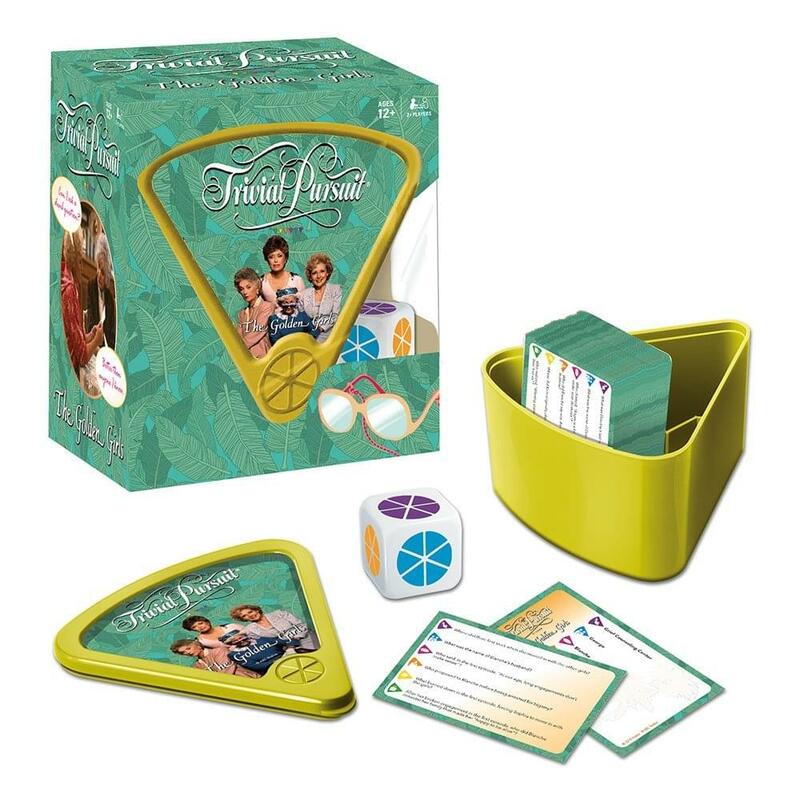 The Golden Girls Trivial Pursuit bite-size edition contains 600 questions based on all seven seasons of the Emmy Award-winning TV series. 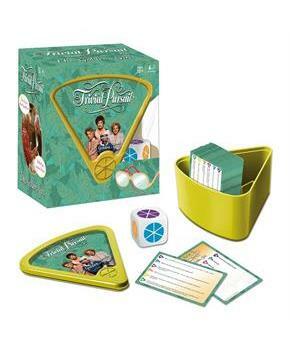 Game includes: 1 Wedge Holder, 100 Question Cards, 1 Die, and Rules Card. Six Categories (The Ladies, Family Matters, Who Said It?, Men of the Night, Locations, Words of Wisdom). For 2 or more players.